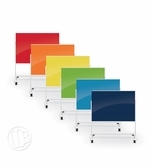 Glass dry erase boards are the best thing to hit the dry erase market in a long, long time and our customers just can't seem to get enough of them. 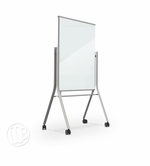 Finally you have the option of an elegant and contemporary looking glass dry erase writing surface instead of those traditional, institutional looking, bright white marker boards of old. 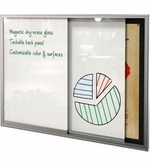 Due to the ever-growing popularity glass dry erase boards now come in a large variety of styles, shapes and sizes and include both a magnetic receptive and a regular non-magnetic writing surface. The ultra-durable super smooth surface provides you with the highest quality writing and erasing experience. 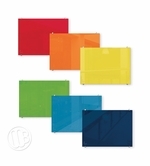 The tempered safety glass is excellent and safe for use in any environment and most glass dry erase board units carry a 50 year limited warranty. 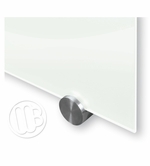 OptiMA also carries a full selection of magnetic glass accessories designed specifically for magnetic glass dry erase boards. 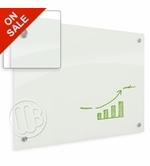 Economical Translucent Frosted Pearl Frameless Glass Dry Erase Boards. 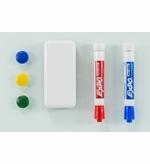 Opaque White Magnetic Receptive Glass Dry Erase Writing Surfaces in five sizes. 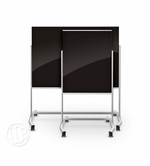 Fully framed magnetic receptive gloss black and white glass boards in 3 sizes. 2 Sizes - Smooth Glass Surface. Wide Base for Stability. 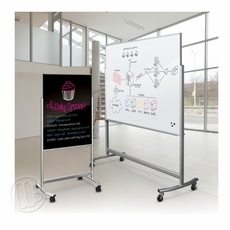 Black Magnetic Portable Glassboard in two sizes with wide base for stability. 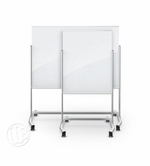 Modern double-sided magnetic glass board. 2 Sizes - Smooth Glass Surface. 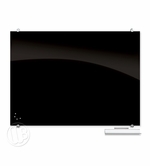 Gloss Black Magnetic Receptive Glass Dry Erase Writing Surfaces in two sizes. 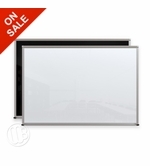 Dry erase glossy white glass doors with low translucency.